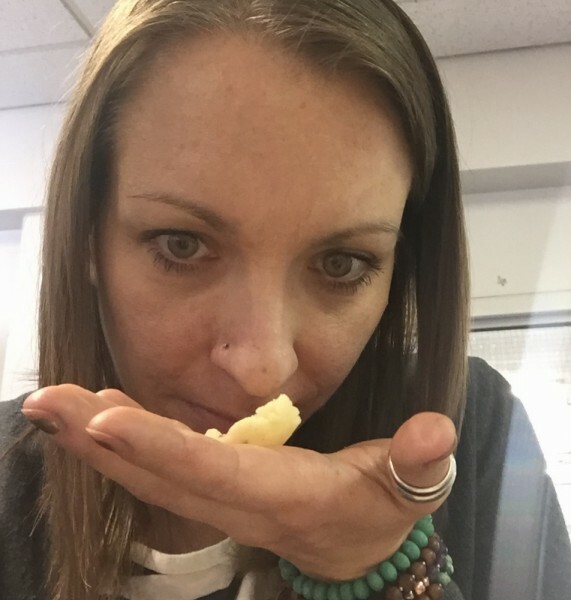 Last time on “You’ve Been Eating Your Cheese Wrong (Part One)” we explored the importance of sight and touch in your cheese eating experience–which I learnt in a tasting session from David Beaudoin, “The Squeaky Cheese Guy”. Today we will look at how aroma and flavour come into play. QUICK TIP: When pairing cheese with wine, bite the cheese first, warming it in your mouth and coating your teeth with that gooey goodness. NOW sip the paired wine and swish it around your mouth, rinsing the cheese off your teeth. This creates an intoxicating flavour combination that really brings out the profile of the cheese and the wine. SMELL – Now that you’ve played with your food (refer to Part One for details)–get your nose in there. What do you smell? The aroma of cheese can range from delicately milky to strong and pronounced. 85% of what you taste is attributed to smell, so give that sniffer a workout. Generally cheese that is past its prime will have an unpleasant ammonia smell. Brie and other bloomy rind cheese will be the exception to this rule. Those varieties usually present somewhat of a naturally occurring ammonia smell. 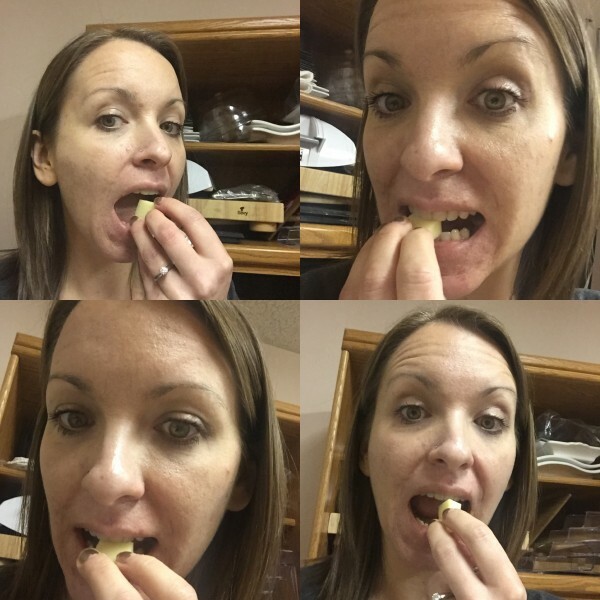 TASTE– Time for the really fun (and yummy) part! There are five basic tastes*: sweet, salty, bitter and umami (savoury). And now you get to discover which of these tastes will come through in the profile of the cheese you are sampling. This is where you can put the smell factor to the test. After about ten seconds release your nose–taste the difference in flavour?! Ok, good work. You’ve earned that piece of cheese. Now you can eat it! If sampling cheese with a rind, taste it first with the rind. Then taste it without the rind. 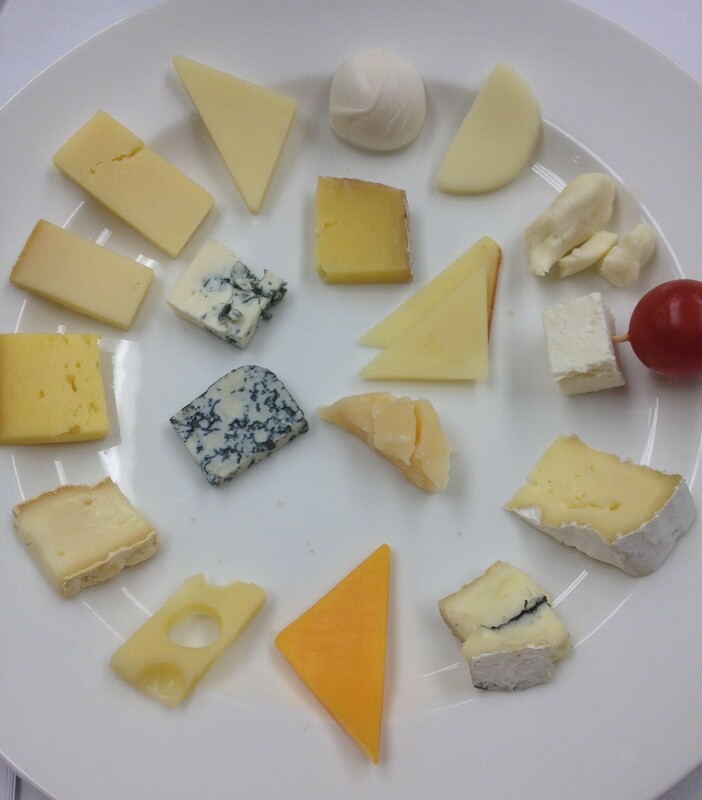 Make note of how it impacts the flavour profile of the cheese (maybe the texture as well–sandy, smooth, bumpy etc). Some rinds will be bloomy and others ashy. *Some experts will argue that there are six basic tastes. They consider “metallic” as a category. Stay tuned for Part Three of this thrilling and educational three-part blog series, where we will help increase your descriptive cheese vocabulary and where I will reveal the BONUS SENSE that is involved with eating cheese or any food for that matter. Do you make or sell blue cheese, or cheese like brie or camembert? Hello Chris. Sorry for the delayed response. No unfortunately we do not sell blue cheese.